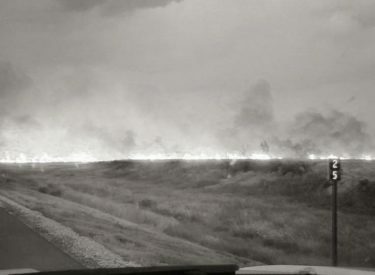 Seward County Fire Rescue was stretched thin Tuesday evening do to numerous dry lighting strikes. First fire was in North Seward County on Highway 83. As units arrived on scene, assisted by Haskell County Fire, three more lighting fires were reported. Assisted by Plains Fire, Turpin Fire, Tyrone Fire, Texas County Strike Team, and Seward County Road Grader all fires were contained and extinguished. Several local farmers assisted with tractors and discs.